In accordance with British Standards and UK building regulations, especially in public areas, all materials should conform to stringent fire regulations when used in defined situations. In accordance with British Standards all materials for domestic applications should be tested in accordance with BS 476 Part 12. Similarly to adhere to building regulations in the UK construction market, materials must comply with BS 476 Part 7. The BS 476 Part 7 test measures the lateral spread of flame along the surface of the material in a vertical position. The classification system is based on the rate and extent of the flame spread. The test is measures on a scale of 1 – 3, with Class 1 being the highest level of conformance. To achieve a Class 1 classification the flame spread after 1.5 minutes and 10 minutes must be less than 165mm. In terms of the severity of the above tests, Part 12 is the minimum requirement that should be met by all materials, while Part 7 requires a much higher standard in terms of material specification. 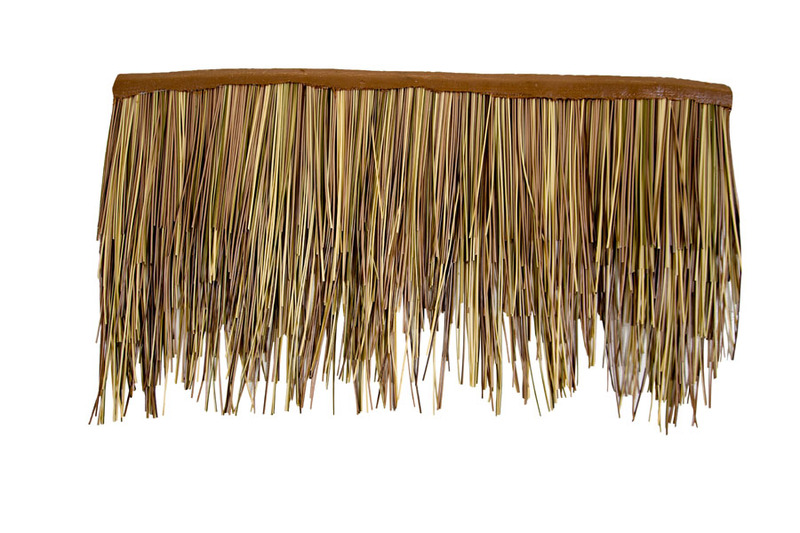 Fibre thatch is our simulated thatch manufactured from a synthetic material known as Polyolefin. 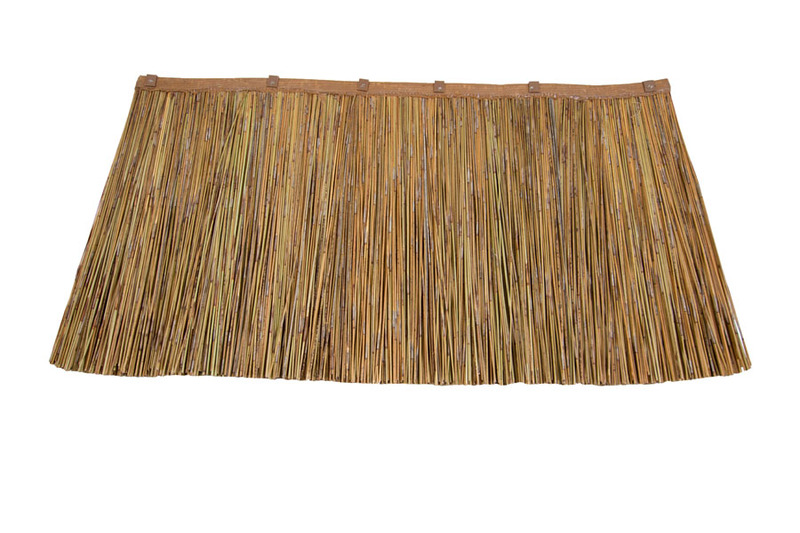 The thatch benefits from a simple installation by means of small tiles and fitted cones clipped onto a steel rod. 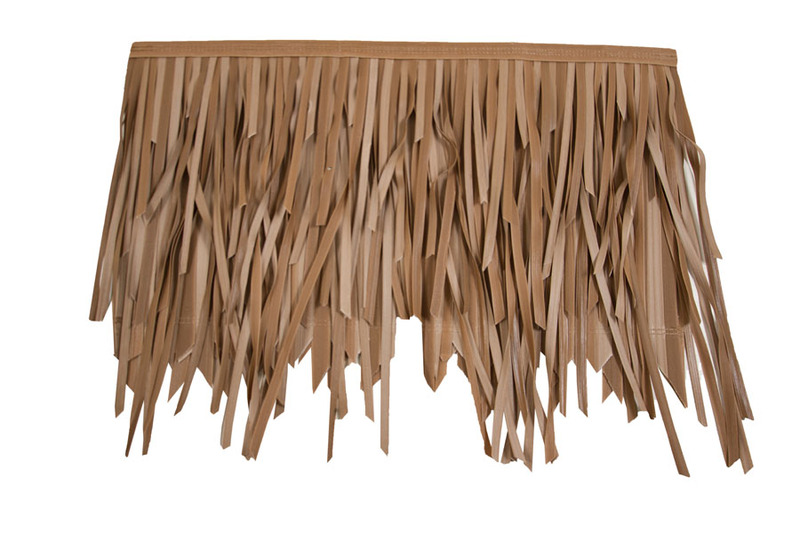 This makes for a smooth finish where no special tools or equipment is needed for installation. Test Conducted: Fire Tests according to BS 476 Part 7: 1987 – a method for classification of the surface spread of flame on products. 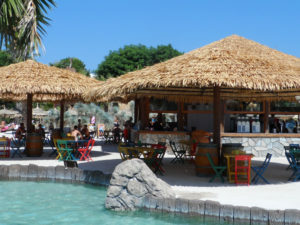 When testing the thatch materials, or any material during the test, it cannot be completed alone. For example, the laminate cannot be tested in isolation – the combination of laminate, adhesive and substrate must be tested in the way they are to be used. Tests are carried our at an approved independent test centre where a certificate is issued. In 2010, our Fibre Thatch – simulated product – was tested by BTTA Fire Technology service and was assessed as passing at the highest rate: Class 1. 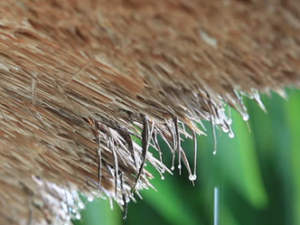 In addition to being a Class 1 Fire Retardant Thatch, our Fibre Thatch is 100% waterproof when used with a suitable roof, 100% UV protected, is not susceptible to mould, rot or decay and has a life expectancy of a minimum of 50 years. 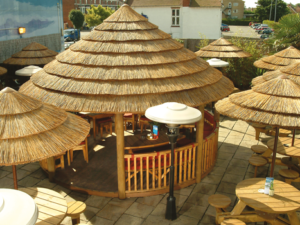 For more information on our synthetic fire retardant thatch materials you can contact us on 01538 380 984 or email sales@africaroofing.co.uk. 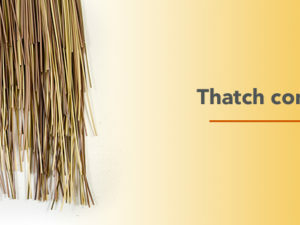 Explore our range of natural and synthetic thatch products by visiting our materials page.